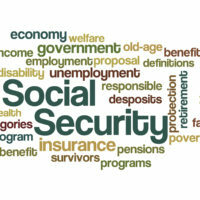 Social Security is an intricate area of law. There are many ways to get benefits, but many do not know how. There are strict requirements that need to be met. Plus, there are situations in which Social Security retirement benefits and disability benefits coincide. For example, if you are receiving disability benefits and your spouse receives retirement benefits, when can you apply for a spousal benefit? Is it even beneficial to do so? How much can you expect to receive? A person can apply for a spousal benefit once they receive age 62. However, it is advantageous for a person to wait until they reach full retirement age. What is considered full retirement age? It varies depending on when a person was born. Currently, a person born between 1943 and 1954 has a full retirement age of 66. If a person applies for a spousal benefit between ages 62 and 65, their benefit will be reduced by as much as 25 percent. Therefore, it is only beneficial to apply for a spousal benefit if it will be higher than their current disability payment. A person is only allowed to receive one benefit of the other, so they will receive the larger amount of the two. However, they will receive two separate checks, as the funds come from separate accounts. They will simply be reduced so they equal the higher amount. You have to be age 62 or older. Your spouse must be currently collecting Social Security benefits. The spousal benefit must be larger than yours based on your work record. If you do qualify for spousal benefits, how much can you expect to receive? You can receive up to 50 percent of your spouse’s benefit based on your age. For example, at age 62, your benefit will be 35 percent of your spouse’s benefit. This increases 0.2 percent for every month you wait. At age 63, your benefit will be 37.5 percent. This increases to 41.7 percent at age 64. At age 65, your benefit will be 45.8 percent. You will max out at 50 percent on your 66th birthday. Therefore, the longer you wait, the better. If you are currently receiving Social Security Disability benefits and are considering getting spousal benefits, make sure that you meet the requirements. A lawyer can help you understand your legal rights so you can maximize your benefits. If you have questions or concerns about the Social Security Disability process, seek legal help. The Law Office of Michael Lawrence Varon will advocate for you. He knows the law inside and out and will help you obtain the benefits you deserve. To learn more about how he can help you, schedule a free consultation by calling 914-294-2145.